A Bradford primary school pupil has beaten more than 15,000 children nationwide to scoop the top award in an online mathematics competition. 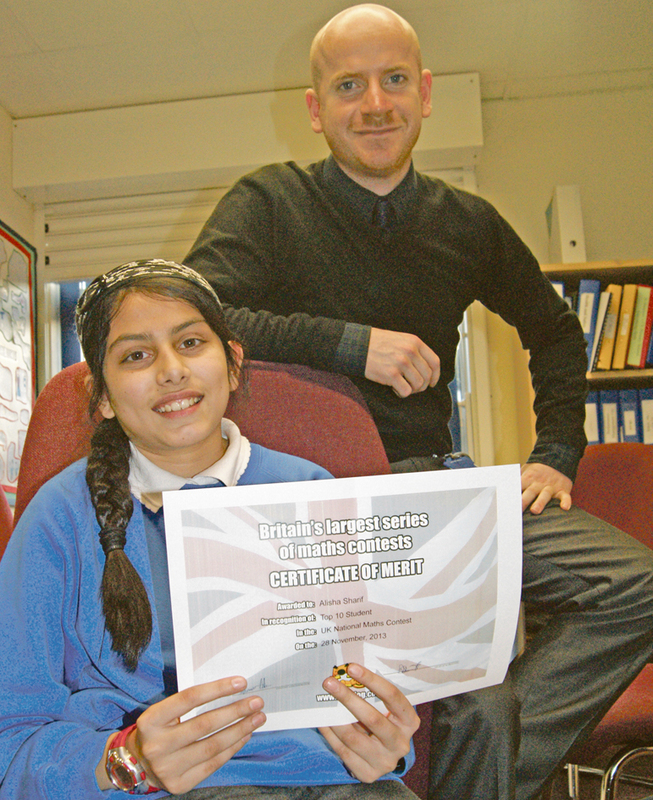 St Matthews CE primary school pupil, Alisha Sharif clinched the accolade after answering 1,000 questions correctly, faster than anybody else in the country. The Year Six pupil averaged a time of just 1.7seconds per question and was one of only two children across the country to get a perfect score. In total, 15,809 children took part in the Sumdog challenge, answering over 3.5million questions. Topics such as the 13 timetables, and online maths battles with other students across the country, all had to be tackled by the avid number cruncher who flew through the test. Speaking after claiming the top spot, Alisha says she was ‘excited and very happy’ to have won the competition. She said: “I had done some of it in school but finished the rest off at home the same day. From then I knew I was top because there was a leaderboard but I had to wait until the competition officially finished before I actually knew that I won. The Sumdog challenge was introduced to the school by maths teacher Brendon Shanahan who believed the program was a good way of allowing pupils the chance to study at home as well as at St Matthews. With the school ranking third overall, out of 320 schools across the country, it was a ‘proud moment’ when Mr Shanahan saw the final standings. “I was of course extremely proud of all our students for doing so well in the competition,” he said. Headteacher, Mr Bob Curran, added his praise for the gifted mathematician. He said: “Coming third makes it really pleasing for the school. “All the hard work which the maths teachers put into the schoolchildren was rewarded by the pupil’s fantastic efforts.